These are my Mom’s Famous Russian Tea Cakes! They’re the perfect Christmas cookie. Mom’s just do it better, right? Your mom’s recipe for something is just the best one, period. 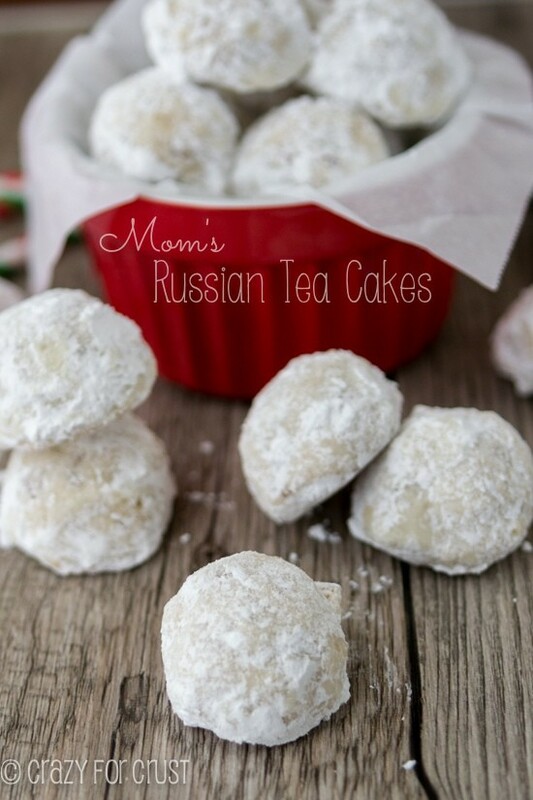 These Russian Tea Cakes are no exception to that rule! My mom has been making these longer than I’ve been alive. I call them her Famous Russian Tea Cakes because she’s always the one that makes them – and they’re always expected (and requested!) at parties. She makes them for Christmas, for Easter, for every holiday…and just because it’s a Tuesday. Now, if you ask her about her recipe, she’ll tell you she got it during her home economics class back in school. She got a treasure trove of recipes from that class: coffee cake, banana bread, meringues. As a kid I’d rifle through her recipe box and in neat cursive script were all these recipes on index cards with her name up in the corner. So many recipes on this blog are based on those recipes. So thank you, Home Ec teacher. 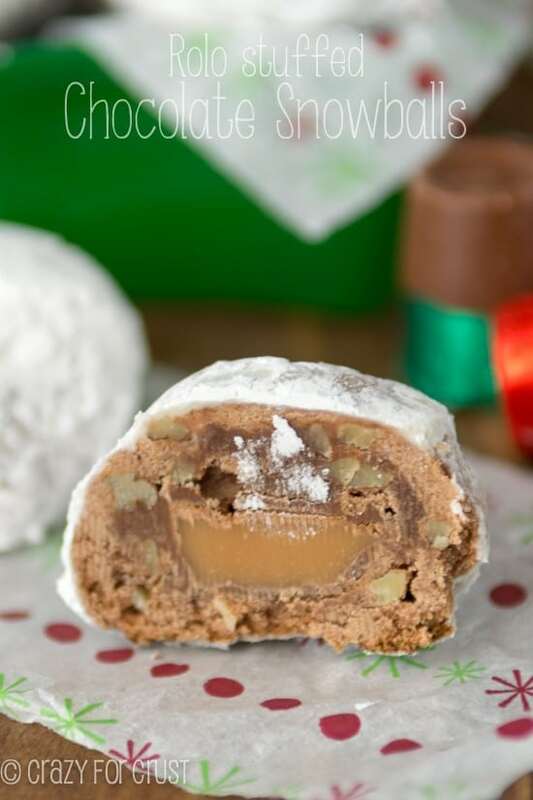 These Russian Tea Cakes have made many a Christmas. And now I’m sharing them with you! Whatever you call them, they’re good. They’re super buttery and rich, probably because the ratio of butter to sugar is 2:1. Normally in cookies, there is more sugar than butter. These are all butter baby! So, then, why don’t they flatten? Well, probably because there’s also lots of flour. Flour is a binder. These cookies have no egg, but they do have nuts in them. 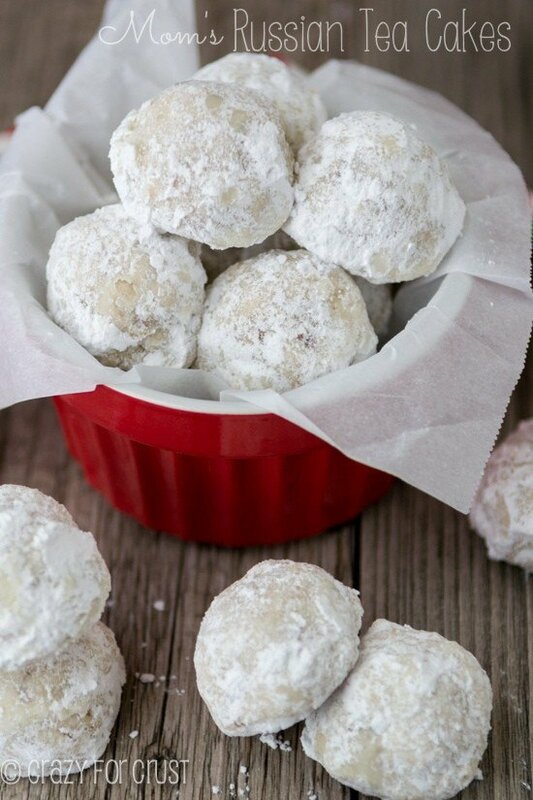 The classic Snowball/Russian Tea Cake is made with butter, powdered sugar, flour, and nuts. I used pecans, because they’re my favorite. You can also use walnuts or almonds. 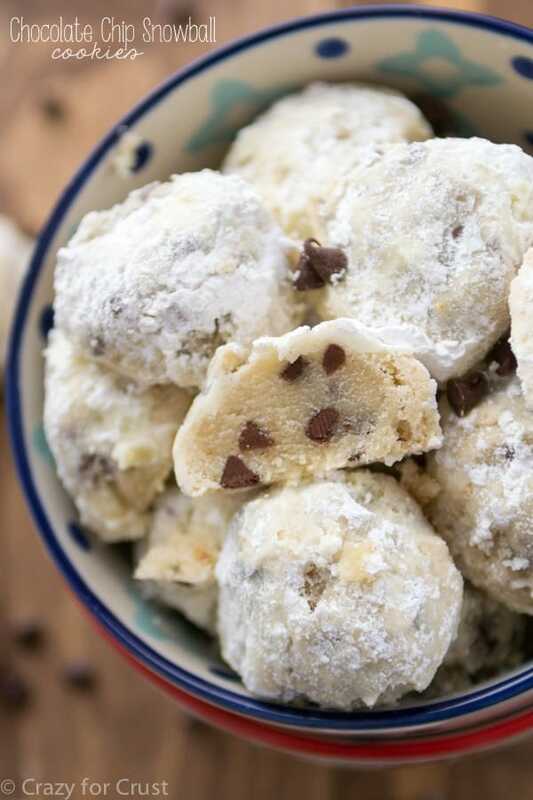 After baking, these cookies get a roll in powdered sugar. You do it while the cookie is still hot (careful of burning your fingers!) so the sugar sticks. Many of you might wonder how I got my powdered sugar to look so powdery and not melted into the cookie. The secret: The Double Roll. Once cooled, roll the cookies a second time. Then they are powdery to the extreme. I know your family will love these as much as mine does. They’ll become a fixture on your holiday table, just like ours! This is my Mom's famous Russian Teacake recipe! 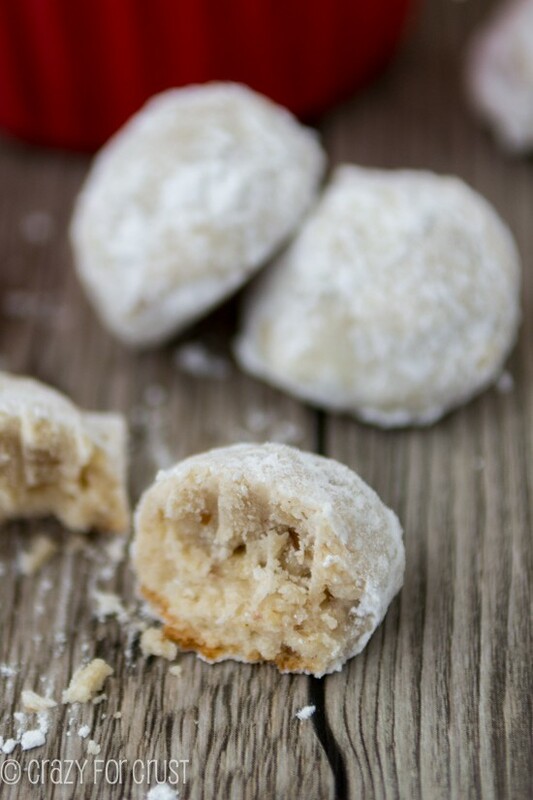 This classic recipe is a family favorite, wether you call them snowballs or teacakes or wedding cookies! Preaheat oven to 375°. Line two cookie sheets with parchment paper. 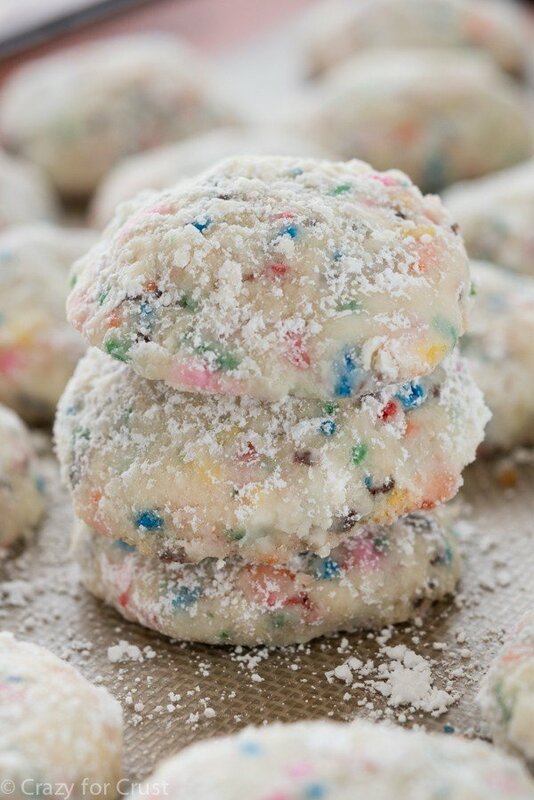 Mix butter, ½ cup powdered sugar, and vanilla with an electric mixer until fluffy. Add flour and salt and mix until the dough comes together. Stir in the nuts. If dough is too soft, chill it until you can work it easily with your hands. Scoop 1 tablespoon balls of dough and place on prepared cookie sheet. Bake cookies for 7-8 minutes until bottoms are just slightly brown. Remove from oven and cool for just a minute, until you can handle them. 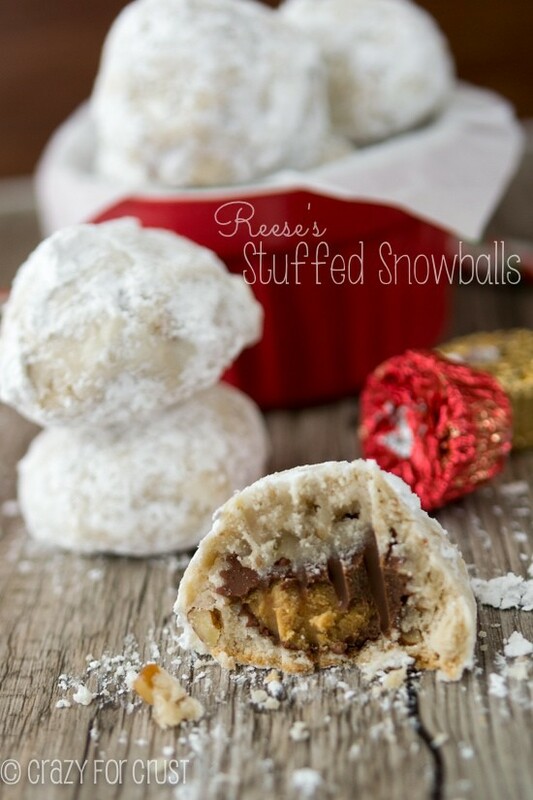 Fill a small bowl with powdered sugar and roll each cookie in the sugar until coated. 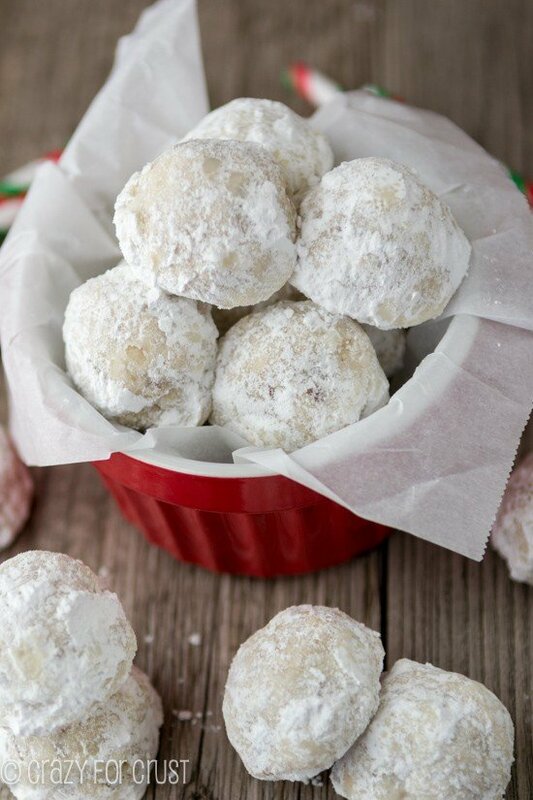 See more of my snowball recipes here!